"Money Address Labels" product is already in your cart. Self adhesive address labels are easy to use. It saves time. You can use them instead of manually fitting in the identification of your company for each of the envelopes or mails that you deliver. These are also great in identifying the items such as the videos or the tape and the books. If exchange identifies the image of your company service, you can buy money address labels. 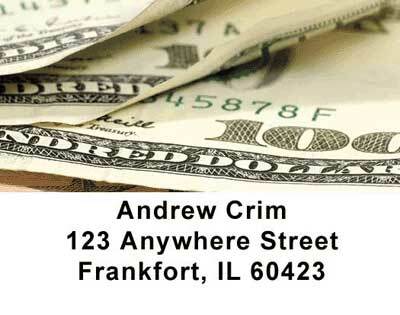 Through money address labels you can show off currency and wealth. You can order personal checks to go them. They are inexpensive and the whole package is a cheap deal compared to the benefit that you enjoy.